One of the cleanest lines on the island! Start from the big flake and do the fun juggy moves of Pidgin Lessons. Before you reach the lip, cut back toward the mountains and follow the Arch's beautiful, Southern edge all the way across. Very exposed and the highest you can get off the deck while inverted. The holds are good throughout except for the a crux section toward the end. There may also be a loose hold or two toward the end that needs cleaning. 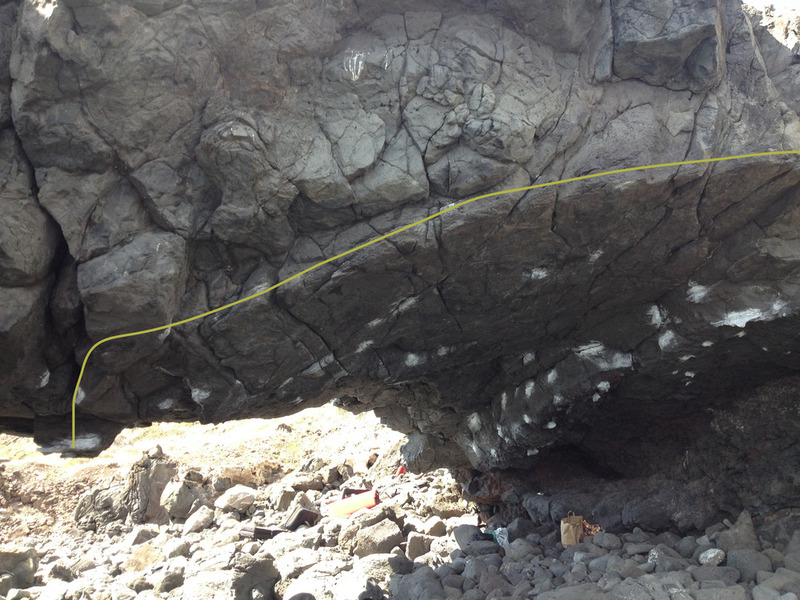 The lower start at the base was first done by Matt Lutey at around (V6) and dubbed Square Root of Arch.